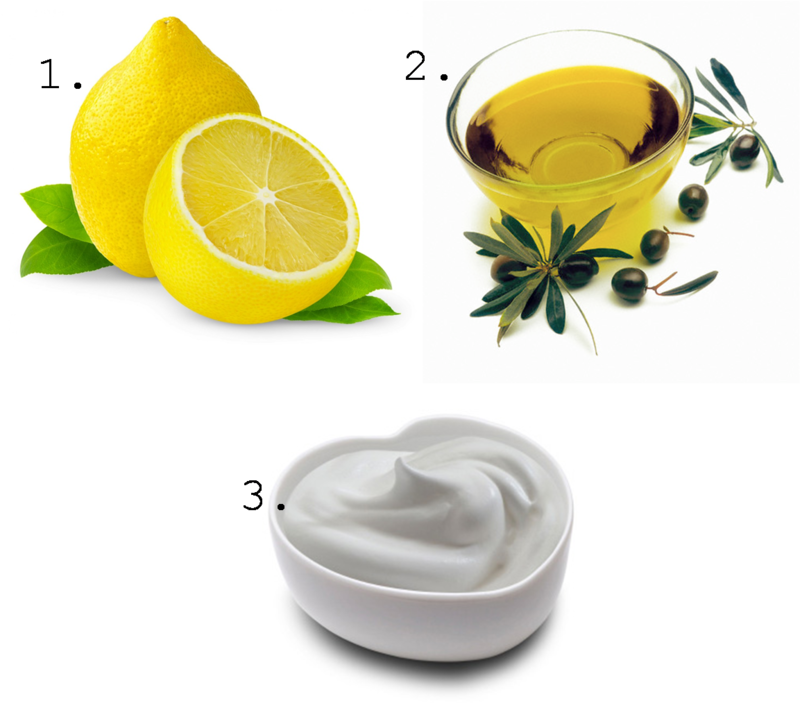 I'm going to share with you how to clear up your skin just buy using 3 ingredients you can find in your fridge right now! Now, i'm not saying i have great or clean skin. By now you all now the struggles my skin has gone through aka (ACNE RECOVERY POST). But these 3 things have helped me a lot. Sometimes all the chemical based products we use on our face can be really damaging to the skin. Your skin needs to breath. I should probably start by telling you that you do not use these items together! They are to be use separately. 1) LEMONS - You cut the lemon in 2 pieces and run it through cold water (just so it doesn't irritate your skin) and then apply directly onto your face. You move in circular motions, really slow and apply it all around your face - focusing on where you tend to break out a lot. Lemons are very good for the skin, they remove scars, heals acne and exfoliates! 2) OLIVE OIL - You pour olive oil into a bowl and apply it directly to your face, rubbing in circular motion. You leave it for 2 hours and then rinse with warm water. I usually do this before i go to sleep. Yes, it might be kind of gross at first but trust me, it will leave your skin feeling super hydrated and smooth. Totally worth it. 3) NATURAL YOGURT - This is really simple and quite self explanatory. You pour 2 teaspoons of yogurt into a bowl and apply directly to your face. You leave it for 30 mins and rinse with warm water. Skin might feel weird at first, but if you apply moisturiser it will be fine.